For the next several weeks, this blog will chronicle a road trip taken from Tijuana, Mexico, to Vancouver, Canada, up through California, Oregon and Washington. In 1937, photographer Edward Weston was awarded a Guggenheim Fellowship and set out on a similar trip, and in 1940, published a book of his photographs, with text by his wife, Charis Wilson, called “California and the West.” In some humble way, this is an update. 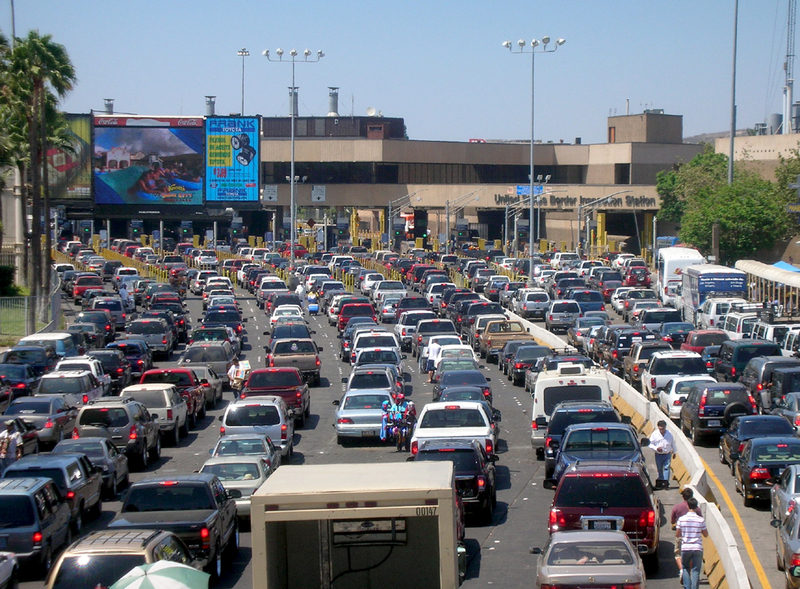 I hadn’t really looked forward to visiting Tijuana. It is, after all, a border town. Such places traditionally are tacky beyond belief. I’d seen Nogales, Sonoyta and Ciudad Juarez, and must say they give me the creeps. But I was pleasantly surprised by Tijuana. Of course, it’s tacky. It wouldn’t be Tijuana without that. But it is also a legitimate city and, if you get off the main tourist drag, a thrilling town to be in. Just a few hours in the city will teach you things about your own country that you hadn’t considered. Our own folkways contrast to the Mexican so that for the first time, you understand your own quirks. Noise, for instance. 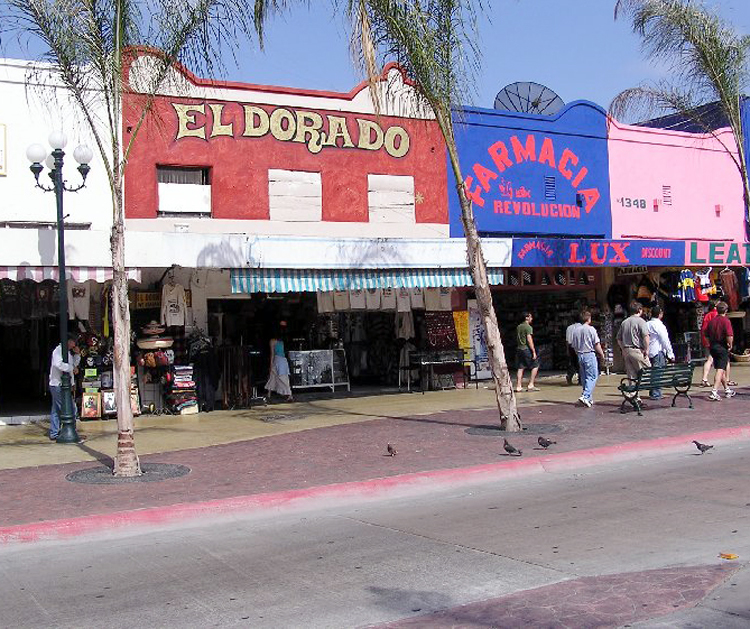 In the United States, we are used to a lower level of sound than you find in Tijuana, where every store seems to blast musica into the street in deafening volumes. And there are smells. Almost all of them are wonderful smells. I didn’t smell any stale urine until I walked back into the U.S. Instead, I smelled lemons, roasting chickens, fresh leather, chile peppers, piles of fresh vegetables, cilantro and vanilla. There are some less pleasant smells, too. Cigarette smoke is everywhere. And Mexican ideas of automobile emissions are very different from ours. They seem to think the more emissions, the more money you make. 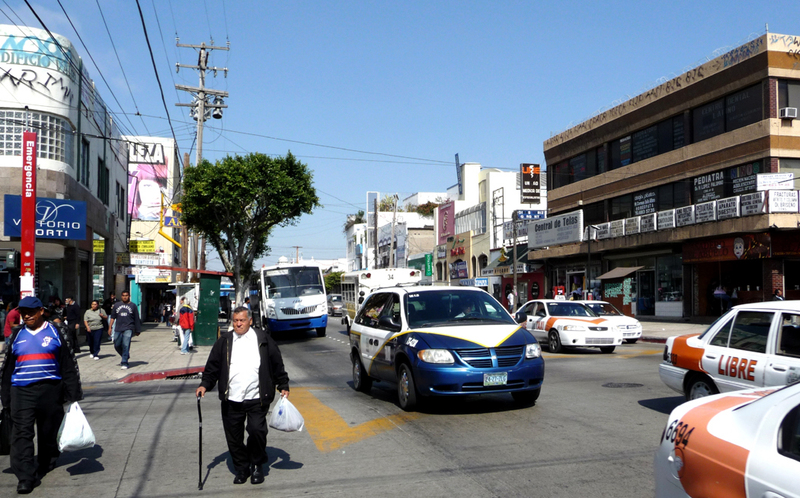 Money is the single ubiquitous thought in Tijuana. Economics blot out every other concern. I didn’t see any religious symbols except those for sale, I didn’t see any art except that for sale, I didn’t see any culture except that for sale. At every square inch of the city, there is somebody scratching out a buck, or a peso — although almost everything sold on Avenida Revolucion is priced in American dollars. Jewelry, leather, tequila, cheap blankets, more marionettes than I’ve ever seen in one place — they tend to be Disney cartoon characters. And mannequins. Most stores show off their wares on stiff Anglo-looking mannequins. In one, gender identity turned into street theater as fake beards were displayed on women’s fashion-model heads. In another, the most elaborate wedding dresses were in the storefront, on mannequins with their faces turned away from the street. 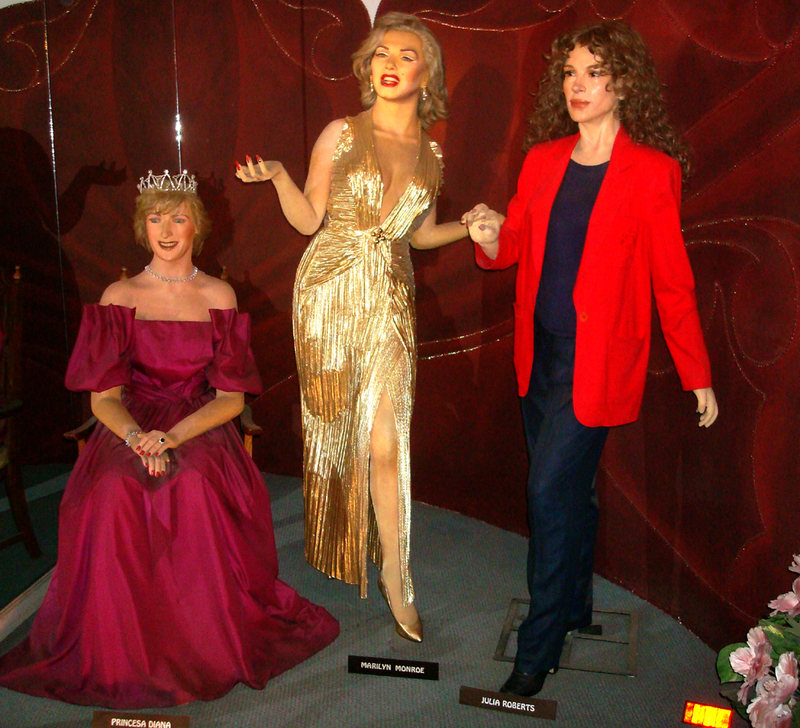 If you don’t find enough of the mannequins in the stores, you should try the Tijuana Wax Museum, which advertises ”More than 60 figures,” although I didn’t count quite that many when I walked through. Many of the figures are distinctively Mexican: There are Emiliano Zapata and Pancho Villa. Cantinflas has his place of honor. But so do Elvis and Michael Jackson. Mexican history is prominent, but the figure of Father Eusebio Kino looked uncomfortably like Bela Lugosi. I wondered if he had been recycled from an old Dracula tableau. I was there at opening time, but no one else was, including the people who ran the place. About 15 minutes later, someone showed up and unlocked the door, flipped on the lights and began taking admission money. Don’t miss Rita Canseco — she is a national heroine, although we know her here better as Rita Hayworth. And whole halls are devoted to the Mexican equivalents of Merle Haggard and Hank Snow. I knew I couldn’t leave town without eating some Mexican food, so I wandered into Tilly’s Fifth Avenue, a dark little smoky place on Avenida Revolucion. An attractive young woman stood outside the door hawking for the place. There are people outside every door in Tijuana like carnival barkers trying to draw you in, even in mid-December, when I seemed to be about the only gringo on the streets. The food was very good, a great deal funkier than the normal American version of the cuisine — with more character and flavor. The big combo plate and a homemade lemonade came to $6. But the best thing was the bowl of chips and salsa. The chips were thick, crunchy and corn. The salsa fresca was the best I’ve ever eaten. It came in a tacky plastic bowl textured to imitate the ancient soapstone molcajetes of the countryside. I had two things I wanted to get done in Tijuana. First, I needed to find a place to buy crepe paper. My wife had charged me with the responsibility of bringing her the paper so she can make paper flowers. Second, I wanted a Tijuana haircut. I know that sounds like something you say about Mexican traffic: ”That bus cut me off so close, I got a Tijuana haircut.” But really, I just wanted to try out a Mexican barber. 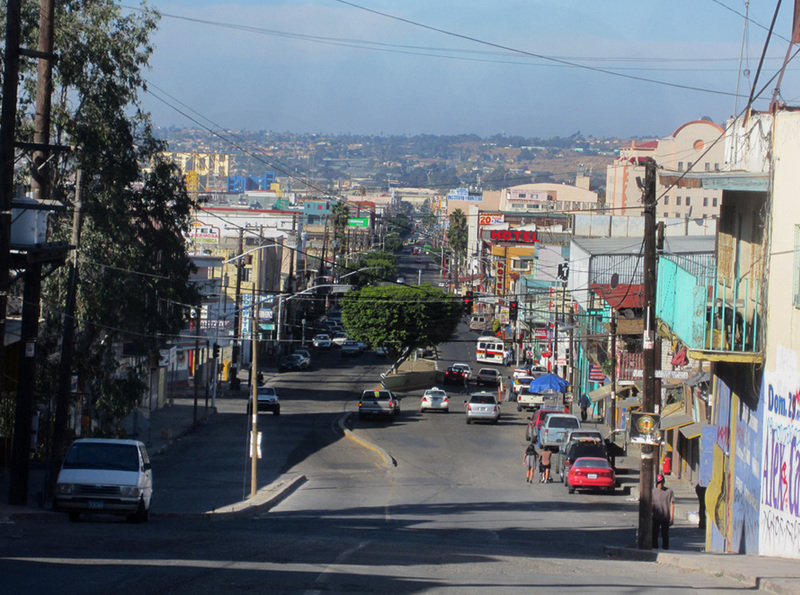 Tijuana is a border town and full of all the heroic tackiness that implies, but it is different from Nogales. For one thing, it is bigger. It is the fourth-largest city in Mexico, with a population of about a million. Which makes it considerably more urban and cosmopolitan. You know you are in a city. Even at 10 in the morning, they are selling lunch. I soon wandered off Revolution Avenue. If you walk west a few blocks, past Avenida de Constitucion, you come across something a little less like Mexican Disneyland. 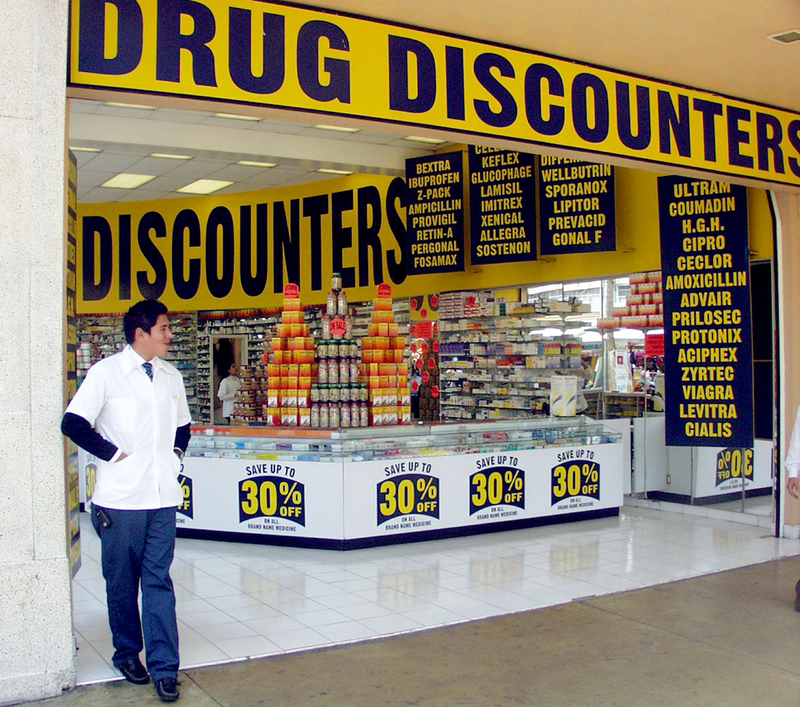 Markets sell food, stationery supplies, wedding dresses — all the things a normal Mexican needs. So I walked through the rain past the hordes of people, smelling delicious food from streetside vendors as I went. After four blocks, there still was nothing that looked like it sold paper. I found lots of cassette tapes, more leather, plenty of fruit-juice stands, but no paper. I asked another news vendor. He held up one finger, then held it up again, but covered the top joints. One and a half blocks, he means, and back the other way. I walk, but find no store. What I do find is a barber. It is a tiny storefront shop with red and white stripes above the door. It is an old, falling-apart building wedged between leather shops. So I go in. 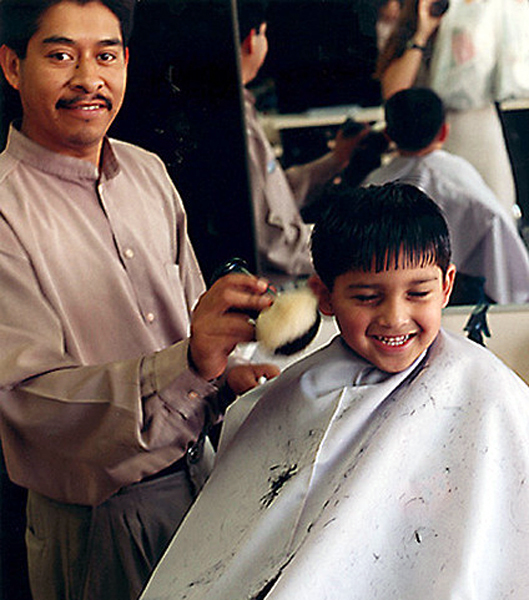 An elderly man is seated in the near chair, getting his hair trimmed. A woman sits in the other chair, waiting for a customer. She is not sure I am it. I make the international gesture of haircut to her, swooping a karate chop over the top of my head, and she smiles, gets up and tells me to sit. I am not sure what to tell her. I want a crew cut — my semiannual hatchet job. The shop is large enough for only two ancient barber chairs, a few waiting chairs and a mirror that hangs shoulder-high along the wall. At the back of the shop near the ceiling is printed, in very neat block letters, professionally painted, ”El Trabajo todo se vence” — Work conquers all. I had the odd feeling that this sounded rather too much like the words over the front gate of Auschwitz, but I’m sure it had more to do with the barber’s work ethic. And she gave me a full going-over. I swear before God and man that my ears have never been lower. After the buzz saw came the scissors to clean up anything left and finally, lather and straight razor to make a passing lane between my ears and hairline. All this was accompanied by choking clouds of powder, brushed on liberally, and the splash of flowery, yet medicinal, cologne up the back of my neck. It was all I could have asked for, short of macassar oil. I got my Tijuana haircut and I will wear it proudly for the rest of my travels. 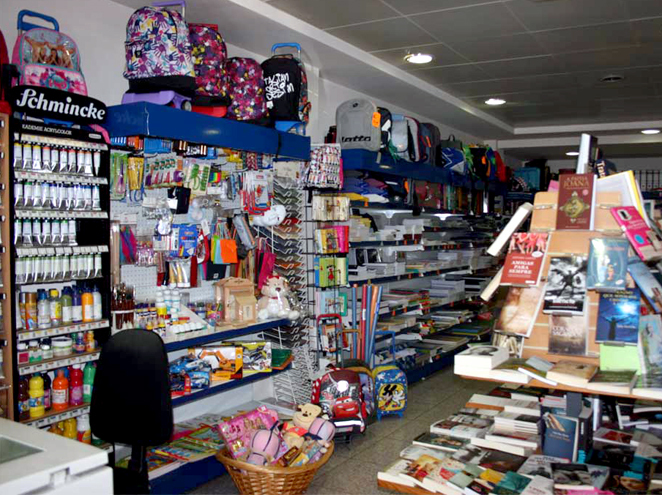 And as I left the shop, dropping a huge tip into the barber’s hand, I asked again for a paper shop. The barber took me outside the shop, pointed down the street and told me to go one block, cross the street, go a half-block up and on the right would be a papelaria. He repeated it. And sure enough, when I walked there, a huge warehouse of a store was filled with everything you could possibly make from paper, from school notebooks to wallpaper. And down the end of the store were huge racks of crepe paper. My wife had sent me to Mexico to buy the paper because, she says, American crepe paper is no good anymore. If you want to make Third World crafts, you have to start with Third World supplies. I piled up about $20 worth in an assortment of floral colors and wrapped them up in a plastic garbage bag I had brought along for the purpose. I felt like Martha Stewart or something: I had planned ahead, knowing it would likely be raining in Tijuana and I would likely be buying paper products, so I brought the bag to protect the paper from the rain. And when I got back on the bus to return to the United States, the sun broke through and briefly scratched a piece of rainbow against the dark clouds to the north. As I left town, I passed more shops, more barkers yelping. I passed old women sitting on the sidewalk with trinkets for sale. I passed bars, restaurants and more leather. And when we got as far as the lines of cars backed up at the border when the bus driver told me it might be faster if I got out and walked the rest of the way. I did.